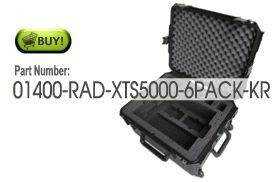 Portable case accommodates six Motorola XTS-5000 radios, six spare batteries, and a six-bay charger unit. MOTOROLA XTS-5000 6-Pack Protective Carrying Case is First to Respond to Critical Missions. Commanders of logistical and emergency units lock ‘n’ roll with the mobile, durable CaseCruzer. PSC100 - All in-one camera & laptop carrying case, holds a 13 to 17 inch laptop in the lid and photography gear inside the adjustable padded divider. Universal Laptop Carrying Case holds 15" to 17" laptops and features a document organizer in the lid.